I have some issue updating my client. This happen only on PC, no issues on android (tablet and phone) and every time I shut down SD. 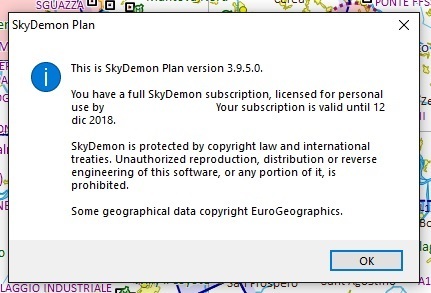 On next start, SD is always stuck at 3.9.5.0 version so I need to manually update it to the latest version 3.10.5.0. Then, when I shut down SD, I need to repeat the procedure. 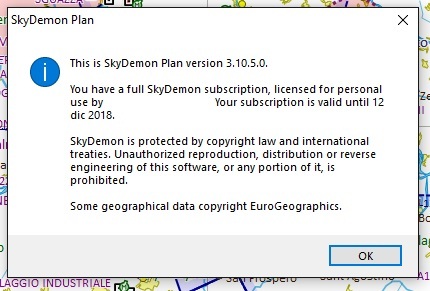 Sounds like something is replacing the SkyDemon program files after they have been updated. Not really our field of expertise, it would probably be worth checking with your network administrator or looking to see what kind of software might be running to replace those files.